The first day of the 4th International Transdisciplinary Research and Practice Online Conference “Connect-Universum - 2018” is over! Straight from the source: how it was. The Rector of TSU Eduard V. Galazhinsky, the Vice-Rector for International Relations of TSU Artyom Yu. Rykun sent greetings to the participants of the conference. On behalf of the conference organizing committee the Head of the Trans-Siberian Scientific Way office Lyudmila P. Borilo on and the Head of the Department of Social Communication and the Chairman of the organizing committee Irina P. Kuzheleva-Sagan joined in welcoming the participants of the conference. All together they wished the participants high spirits and fruitful work. 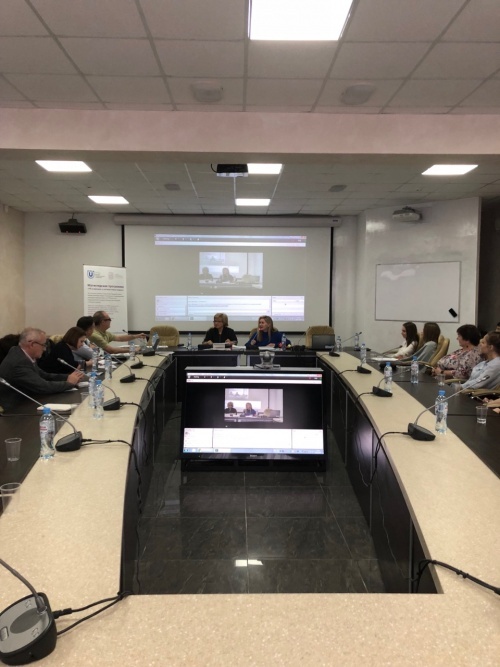 The moderator Snezhana S. Nosova began the webinar from the presentation of the book “Knowmad Society: Borderless Work and Education” edited by John Moravec. The Russian version of the book was issued by TSU Publishing House just before the conference, it continued the series of books "Monographs of outstanding foreign researchers: for the first time in Russian." 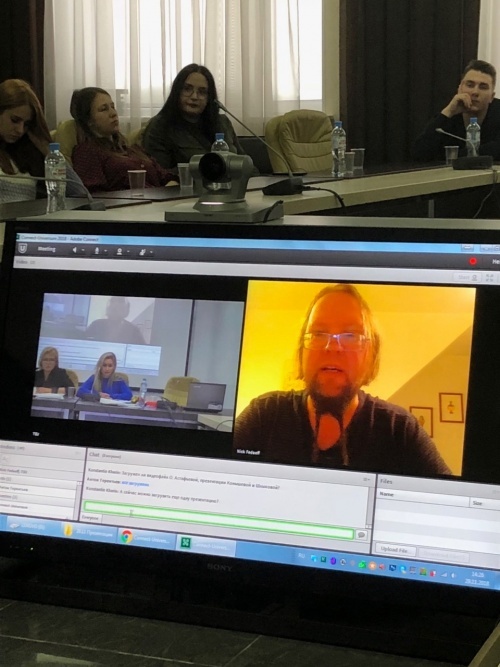 The idea to translate the book in the result of the previous conference Connect-Universum-2016, which was devoted to the topic of digital knowmads, at that conference John Moravec for the first time told the Russian audience about his education project of the future. Snezhana S. Nosova presented the book for a reason: she translated the book, and Irina P. Kuzheleva-Sagan became her scientific editor. It was a great pleasure to see that all the speakers declared in the program for the first day of the conference managed to go on the air and present their reports. 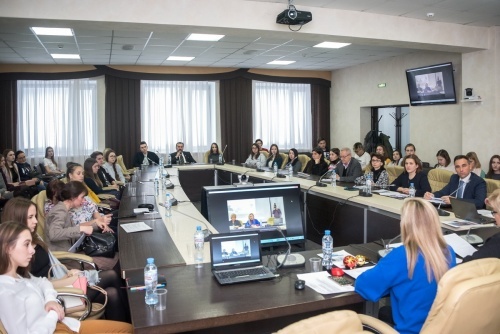 Steve Millington (UK) and Roberto Bruni (Italy) came in snowy Siberia and gave the reports online from Tomsk State University. How can we better ensure the success of the campus, its individuals, and the community it serves? Sandra Braun – the PhD, the Associate Professor, teaches public relations writing and crisis communication at Mount Royal University in Calgary (Canada). Steve Millington – the Director of the Institute of Place Management (IPM) Special Interest Group for Place Making and a Senior Lecturer in Human Geography at Manchester Metropolitan University (UK); the co-editor of “Spaces of Vernacular Creativity: Rethinking the Cultural Economy and Cosmopolitan Urbanism” (Routledge); the member of an ESRC project, High Street UK 2020. Roberto Bruni – the PhD, the Research Fellow in Marketing, Economics and Law department - University of Cassino and Southern Lazio (Italy), the expert of marketing, place marketing, tourism marketing; the joint author of the book «Place as Value Preposition: The Marketing Perspective» (2017). Irina Kuzheleva-Sagan – the Dr hab. of Philosophy, professor; the Head of the Department of Social Communication, Faculty of Psychology, National Research Tomsk State University (TSU) Tomsk, Russia; the Head of the Laboratory of High-Hume New Media Technologies; the leader of the research team “Organization of Social Space 4.0 as a Condition for the High Quality of Human Life in the Digital Era”; the expert in methodology for scholarly knowledge about public relations and image studies, the researcher of digital nomadism, and others. Terentyeva Irina Nikolaevna – the PhD in Philosophy, Nizhny Novgorod State Technical University n.a. R.E. Alekseev (NNSTU), the editor, the Editorial Board of the scientific literature NSTU. 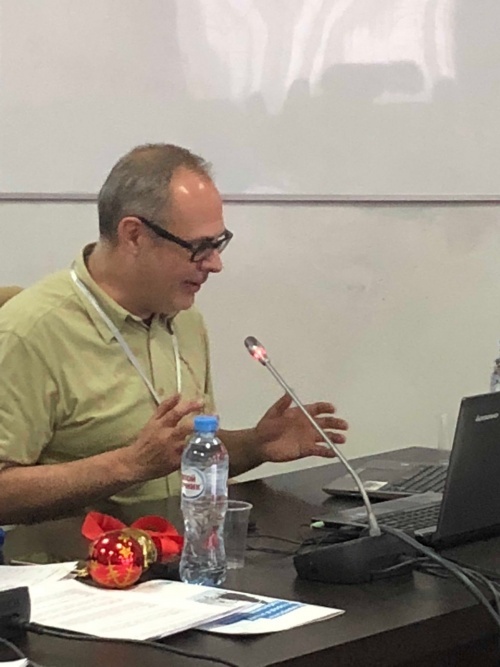 Dmitry Gavra – Doctor of Sociology Sciences, Professor, Head of the Department of Public Relations in Business, School of Journalism and Mass Communications, SPbU (Russia); head of the research project “External Image of the Country in Global Information Environment”. Nick Fedaeff – Russian and New-Zeeland surrealist artist, musician, российско-новозеландский художник-сюрреалист, музыкант, new media professional, traveler and globally minded person. Resources of the Symbolic Capital of the Cultural Environment: Bolstering Image of Place Rebranding? 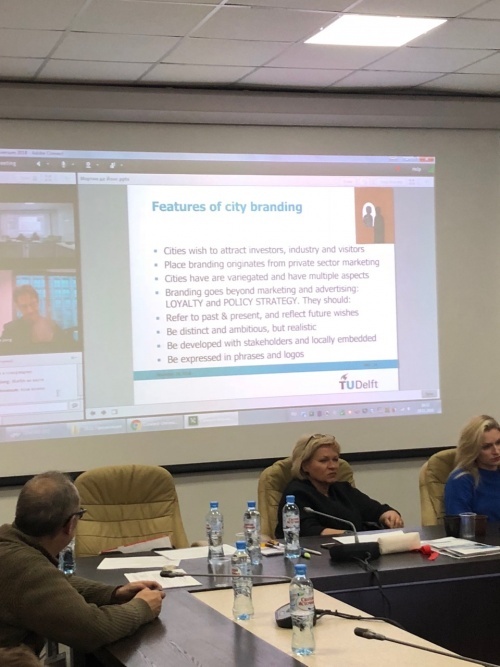 Olga Shlykova – Deputy Director of the Research and Educational Centre “Civil Society and Social Communications”, Doctor of Culturology, Professor, Specialist in Media, Digital Culture etc. 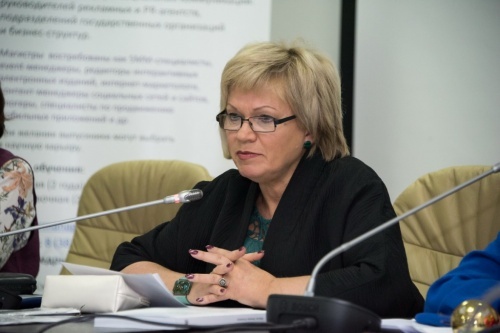 Oksana Konysheva – Leading Expert in work with regions of the State Atomic Energy Corporation ROSATOM, Head of the Program “Territory of Culture of Rosatom”. 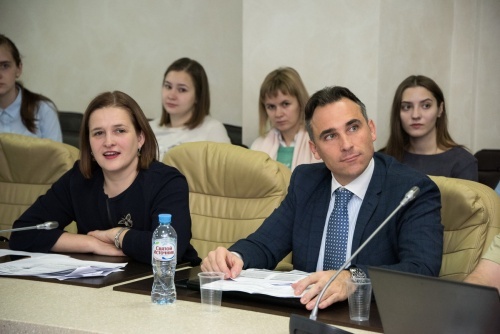 Sergey Kuvshinov – Candidate of Engineering Sciences, Associate Professor, Director of International Institute of New Educational Technologies at the Russian State University for the Humanities. Konstantin Kharin - Candidate of Engineering Sciences, Director of the Centre of Emerging Media Technologies, International Institute of New Educational Technologies at the Russian State University for the Humanities. Martin de Jong – PhD, Professor of the Faculty of Technology, Policy and Management, Delft University of Technology, Netherlands. The main research topics are urban infrastructure development, transport infrastructure, “eco-cities” development. From City Branding to Implementation. Avoiding Green Washing and Adopting Sustainable Urban Transformation. 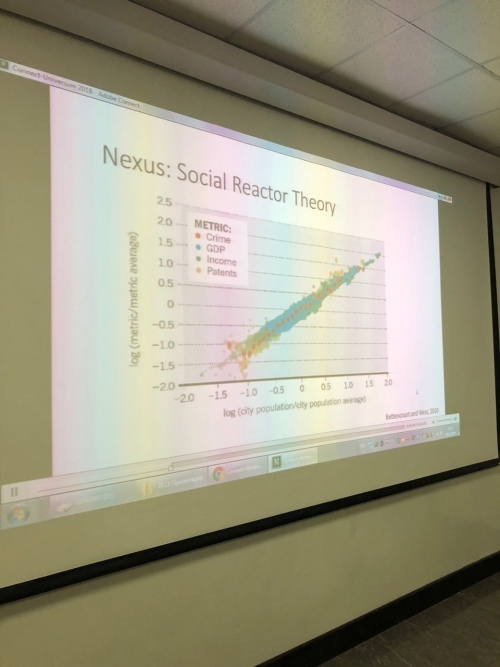 Scott Cunningham – PhD, Associate Professor of the Faculty of Technology, Policy and Management, Delft University of Technology, Netherlands. Research interests: Data Science, game theory, economics and management of new technologies. Scott Cunningham is currently an associate editor of the journal Technological Forecasting and Social Change. Marta Hereźniak – Adjunct Professor at the University of Lodz, Poland. The author of the first doctoral dissertation in Poland and the first book about nation branding. Expert of Polish Chamber of Commerce in Brand for Poland project. Consultant in brand-related projects for cities, companies, public institutions (Ministry of Foreign Affairs, Ministry of Regional Development etc.) and local governments. The leading consultant in the project on Kazakhstan country brand. Co-author of European Funds Brand Strategy in Poland. Member of International Place Branding Association. Creating Place Brand Experience in the Online Environment. Challenges, Methods, Best Practice. Lauren Miller – Community Developer of European Makesense. She works with Makesense volunteers throughout Europe developing socially significant projects. Lauren Miller studies political sciences and law. Prior to joining “Makesense” she advised on fighting against the privatization of education worldwide and collaborated with the Organization for Economic Cooperation and Development. The reports of key speakers will be available on our YouTube channel after the conference. Part of the reports will be presented on the web-site in text format. We will also publish presentations of key speakers on their personal pages. On the 30th of November there will be the second day of the conference.